If you are unhappy with your purchase for any reason, I will gladly refund your money [minus my shipping cost] You must return the item within one week of receiving it and you must pay your own return shipping. 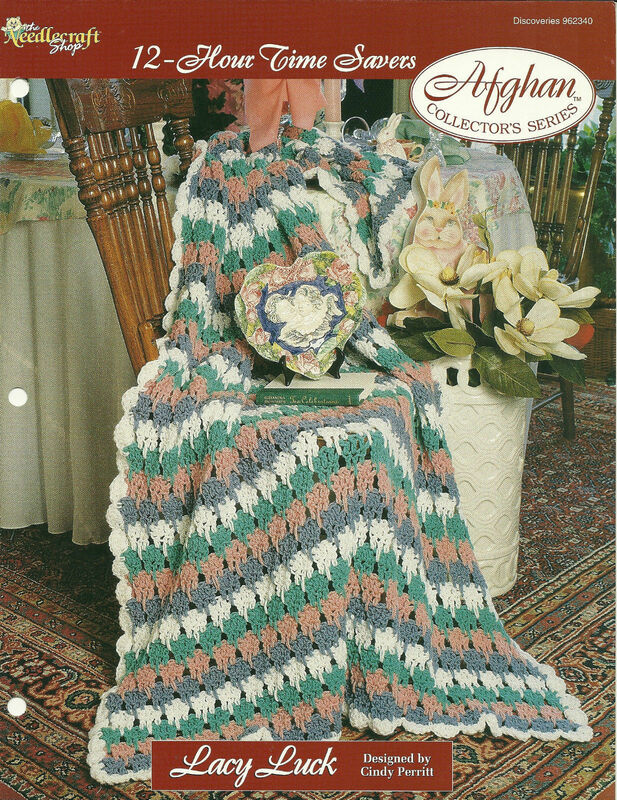 Needlecraft Shop Crochet Pattern 962340 Lacy Luck Afghan Collectors Series Type: Needlecraft Crochet Pattern Theme: Afghan Collector's Series Brand: Needlecraft Shop Style: 12 Hour Time Savers Title: Lacy Luck Pattern: Afghan Catalog: Discoveries 962340 UPC: 054525205983 Year: 1996 Designer: Cindy Perritt Designs: 1 Pages: 1 Dimensions: Approximately 11 inches x 8.5 inches Country/Region of Manufacture: USA Condition: Used. Mint condition. Holes punched to fit binder. Terms Of Sale I ship within 1 business day of receiving payment. Although most items arrive within a week or two; please allow 2 - 5 weeks for delivery if you live outside of Canada as the item will have to clear Customs. If you are unhappy with your purchase for any reason, I will gladly refund your purchase price [minus my shipping cost] You must pay your own return shipping. In an effort to 'Go Green' and to save on shipping costs I manufacture, recycle and reuse envelopes and packing materials where ever possible.